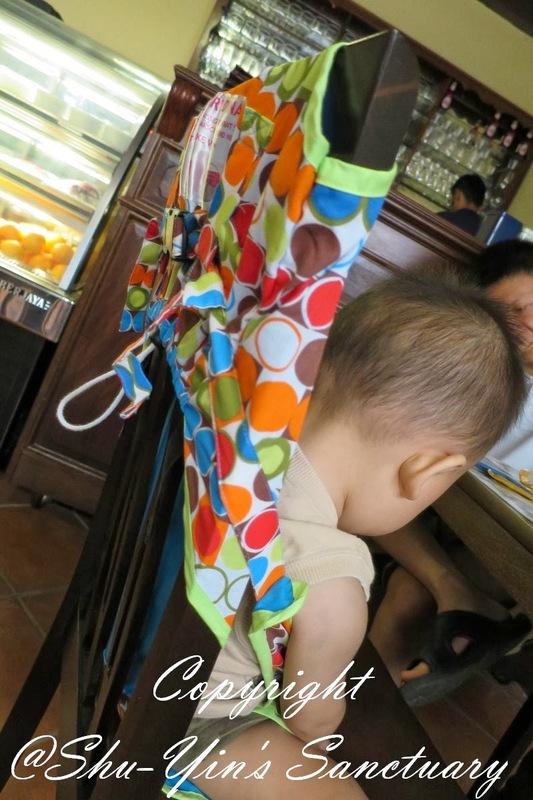 I sometimes do see people carrying portable highchairs around, you know those bulky plastic chairs, and I always shudder at the sight of them. I knew those are not my kind because I am already carrying a hundred and one baby/kids stuff whenever we go out. So there is no way I am adding that bulky plastic thingy to our list of things. But whenever we dined in some places which doesn't have a highchair, or runs out of one, I always ended up letting Khye sit on my lap, and that was really troublesome, because he kept grabbing my food, and I always ended up eating real fast, or waited until my food gets cold so that it won't scald Khye if he somehow managed to grab the food. 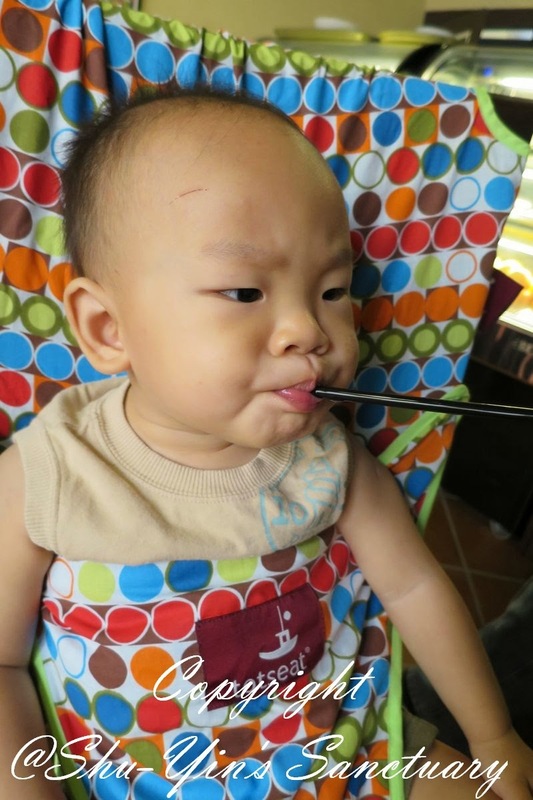 So that's worse off with having no highchair around. 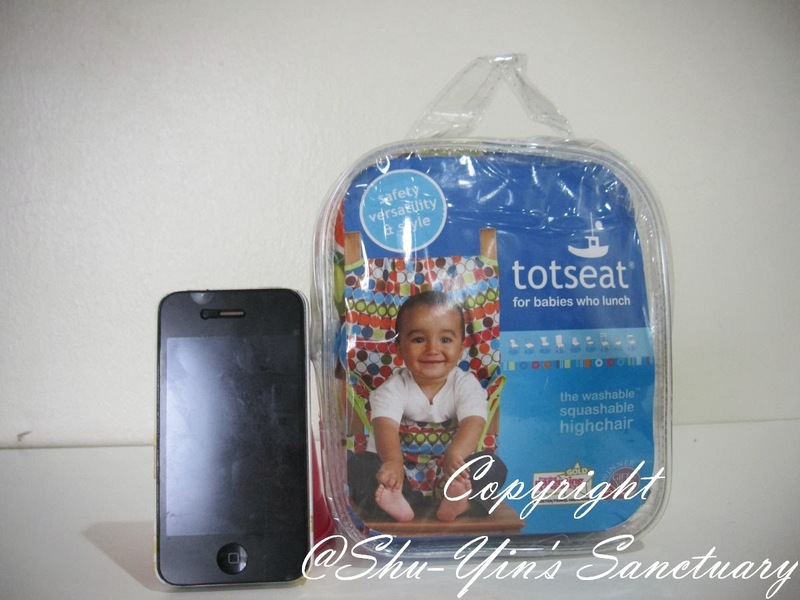 So I was ecstatic when I was approached by Bloom & Grow to review Totseat. SO WHAT IS A TOTSEAT? 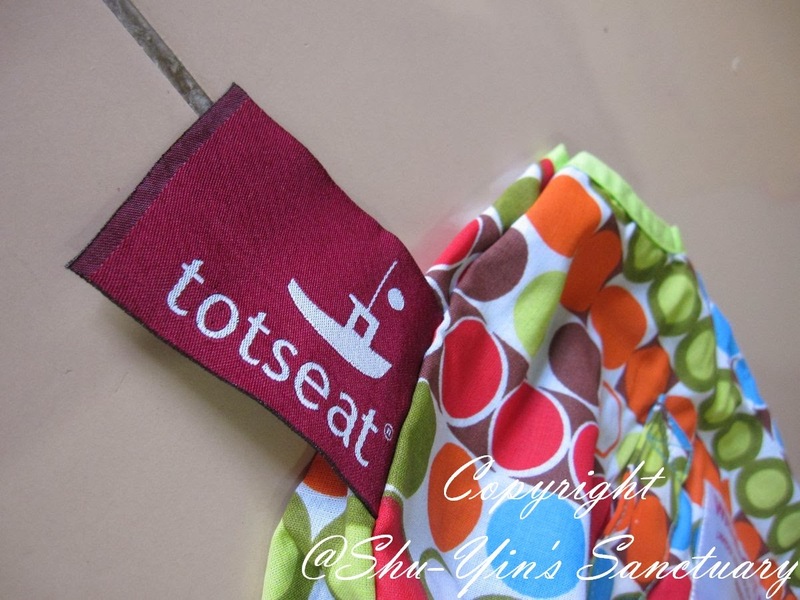 Totseat is a fabric chair harness. 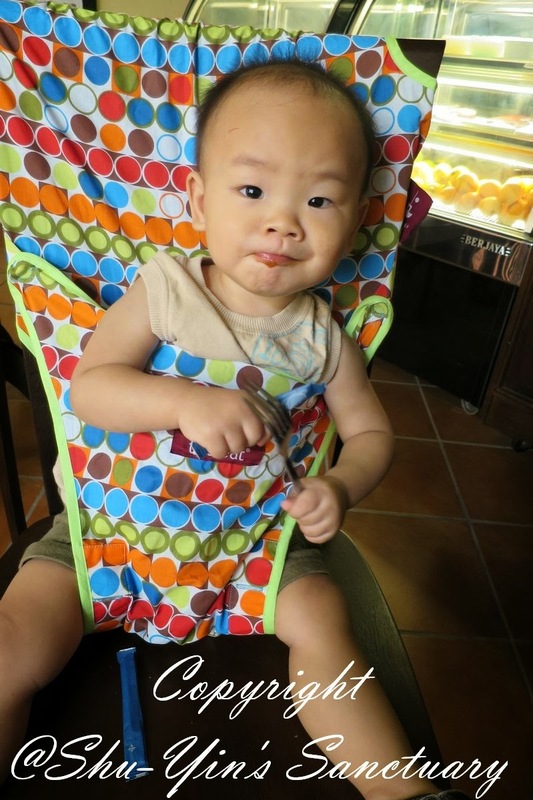 It's pocket-sized and designed to safely anchor your little one in an adult chair in the absence of a highchair. This means you don't have to bounce your baby on your knee while you eat, or, keep them in the stroller while you have lunch. 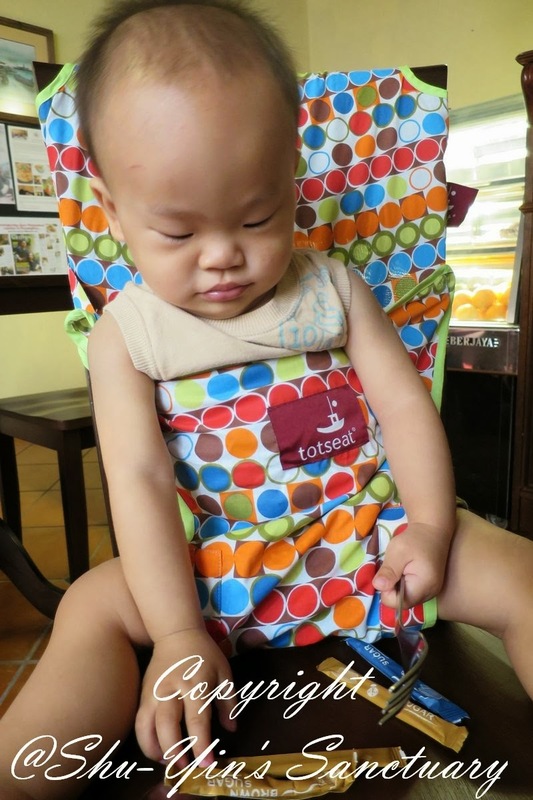 Using the Totseat to securely envelope them in the chair, your little one is able to join the party. It was designed with safety experts and has been thoroughly tested so you can use it with confidence, coupled with common-sense. 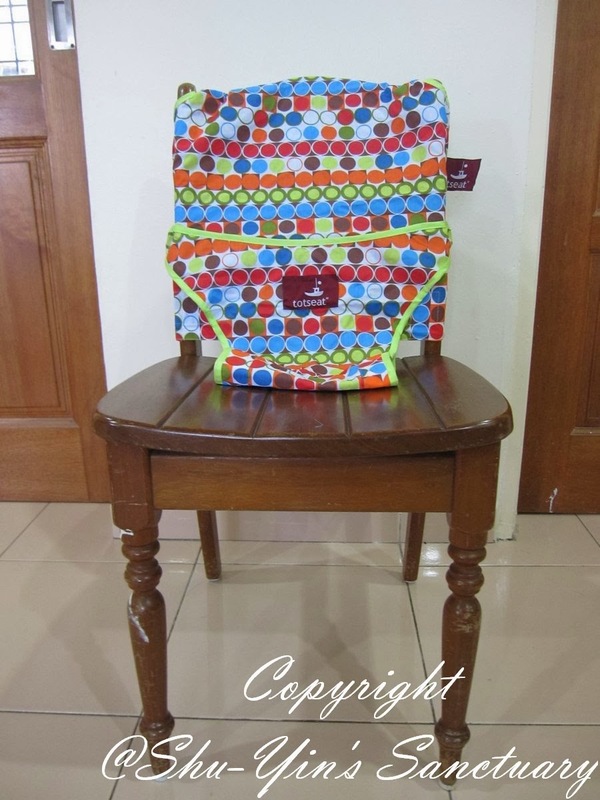 It comes in a clear/transparent plastic bag with a handcarry and a double zip. So it is pretty easy to tot around. I was pretty amazed by its size. It's smaller than what I'd expected. Here I am putting it next to my iPhone4. 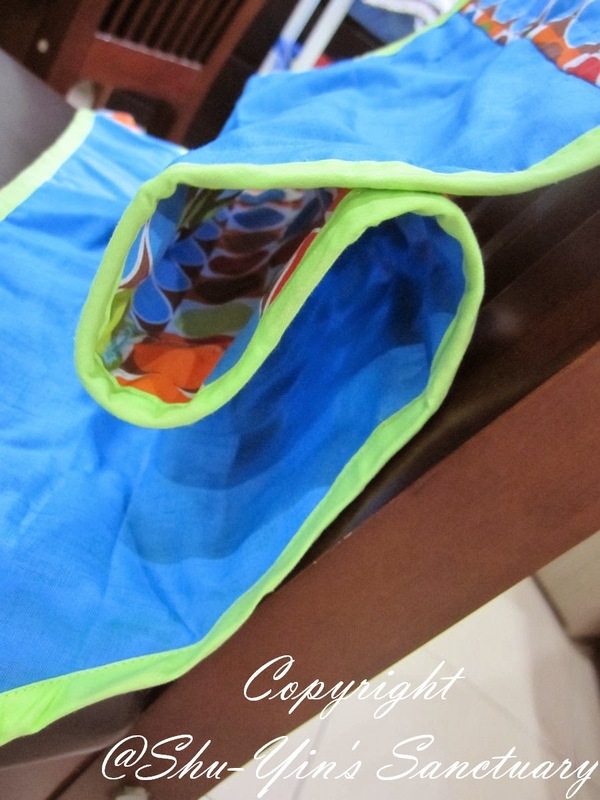 When I unzipped the plastic bag, I was even more amazed by an even smaller sized pouch. 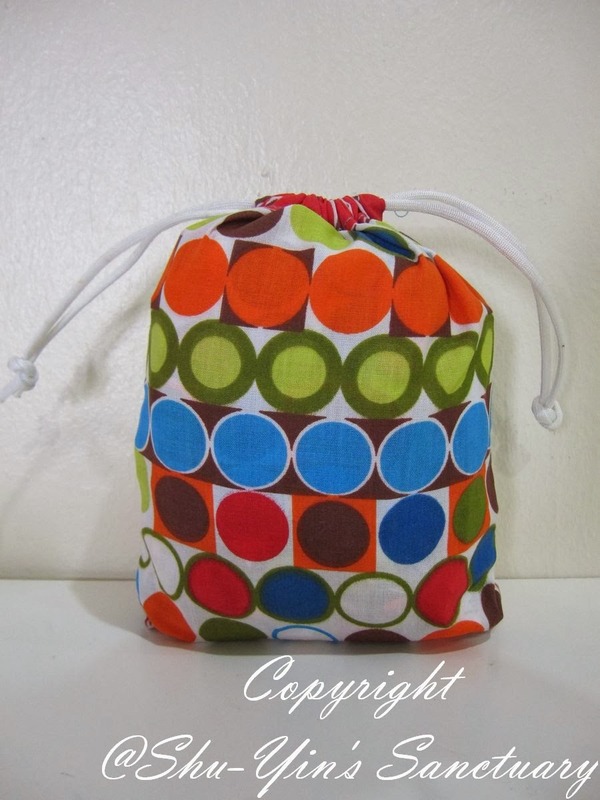 The Totseat is supposedly be inside this small drawstring pouch, but how could it be so small? 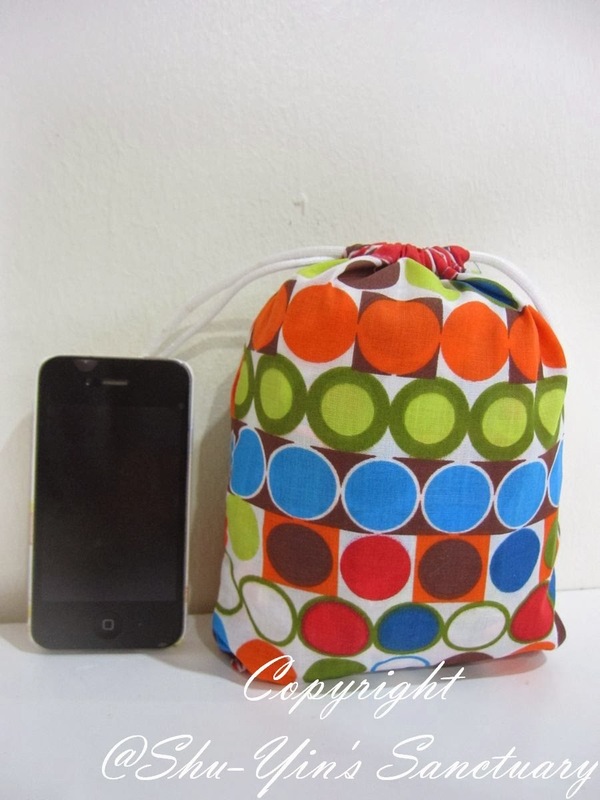 When packed in its bag, a Totseat squashes to about 18 cm tall x 12 cm wide x 4 cm deep, making it about the size of a pair of ski gloves and easy to fit into a baby bag or handbag. 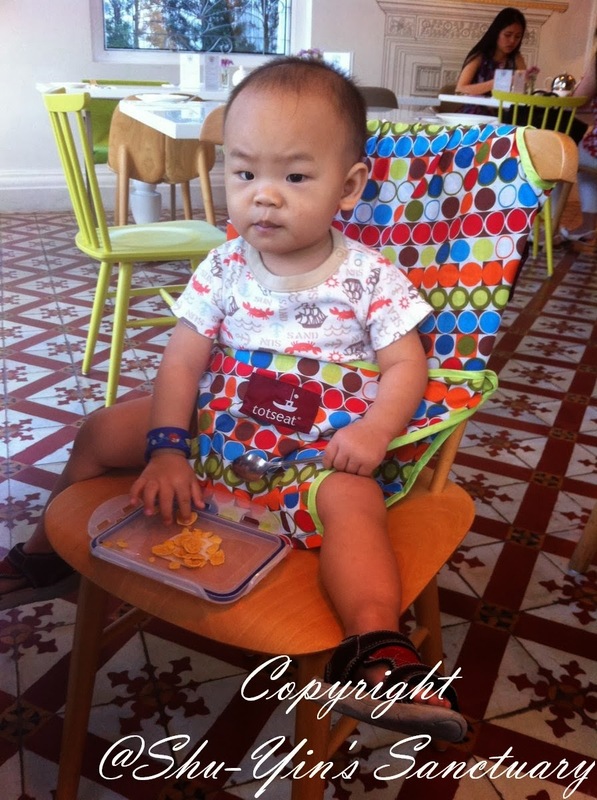 One Totseat weighs about 360g.A 360g highchair, I'm gobsmacked! Pulling the drawstring apart, I took out the Totseat and laid it on the floor. This is what was inside. 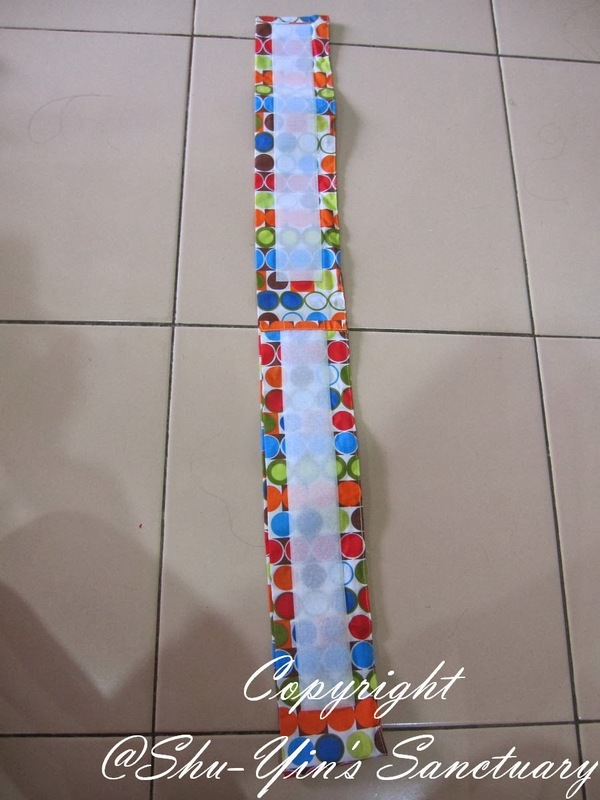 The main piece of Totseat and a detachable Cummerbund. 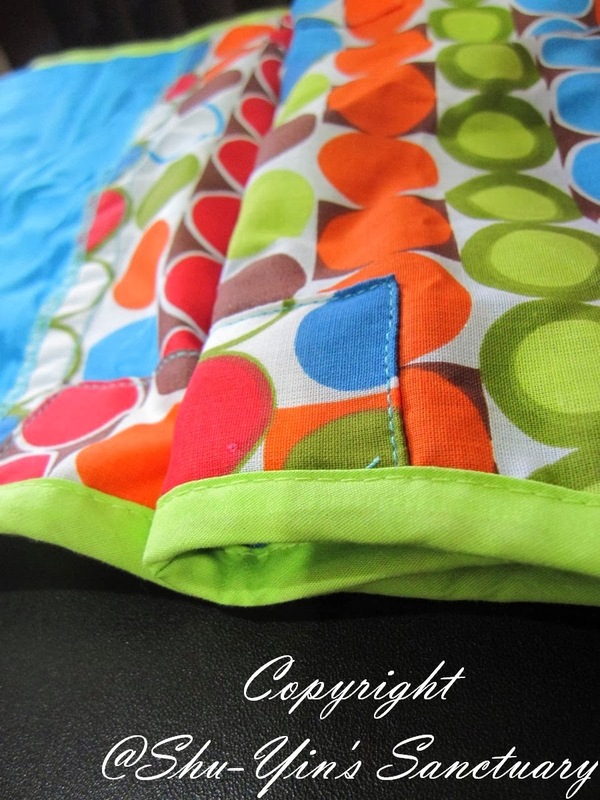 Printed Totseats are made from a gorgeous, comfortable, double-ply and durable mix of 50% cotton, 50% polyester. That's the Totseat logo sewned on it. 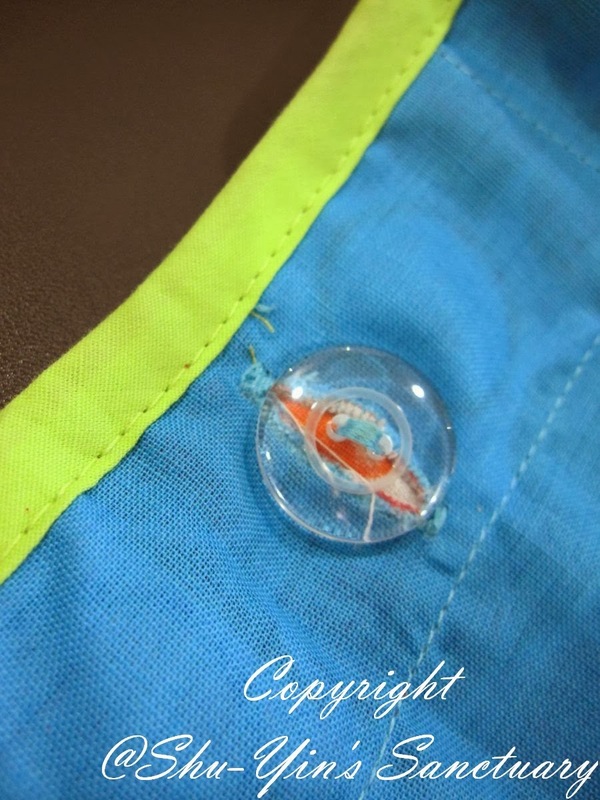 Workmanship is excellent with no loose ends, etc. 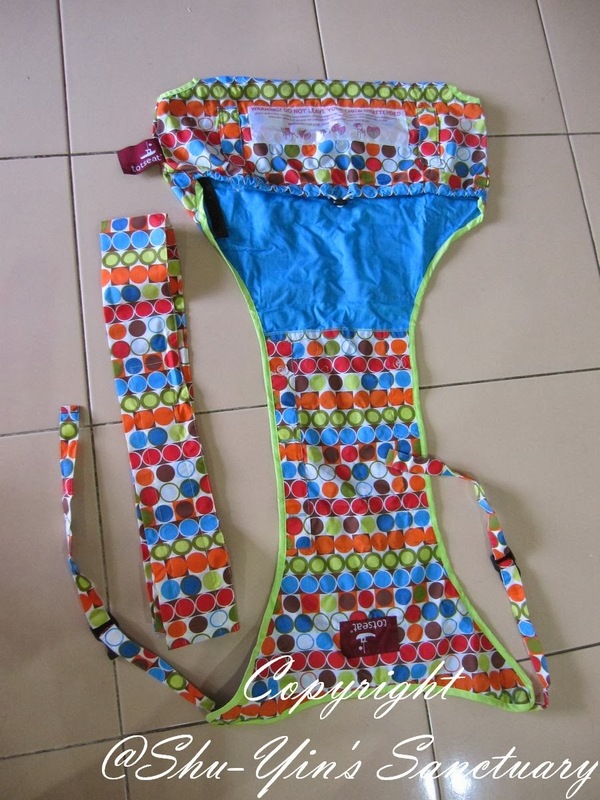 This is the Cummerbund - a super-secure wide strap to create a back support on open-backed chairs. 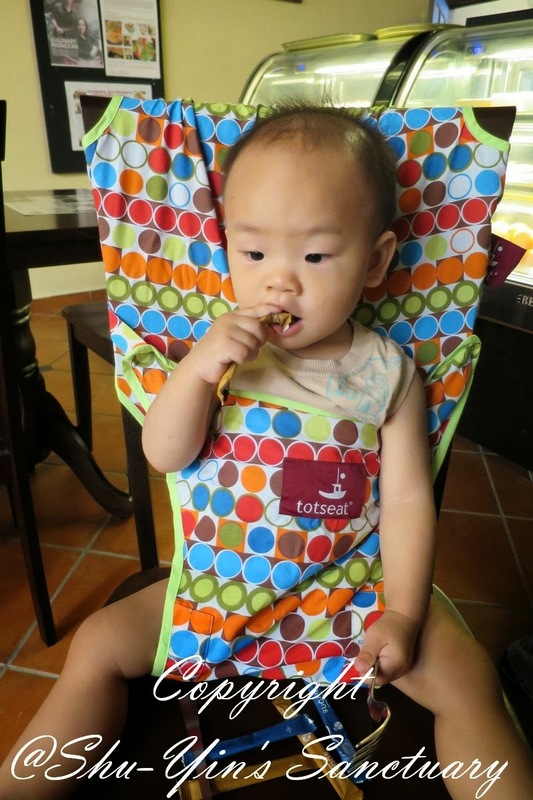 Every Totseat travel highchair comes with a cummerbund, the purposes of which are to prevent your child from falling down, and out, through the back of an open chair (like below photo) or, to provide additional support and security, when wrapped around a chair and the baby. It is actually very easy to fix the Totseat, even without reading the manual (though not recommended of course). If the back of the chair has an open hole like the one above, secure it with the cummerbund first. If not, just use the main Totseat. 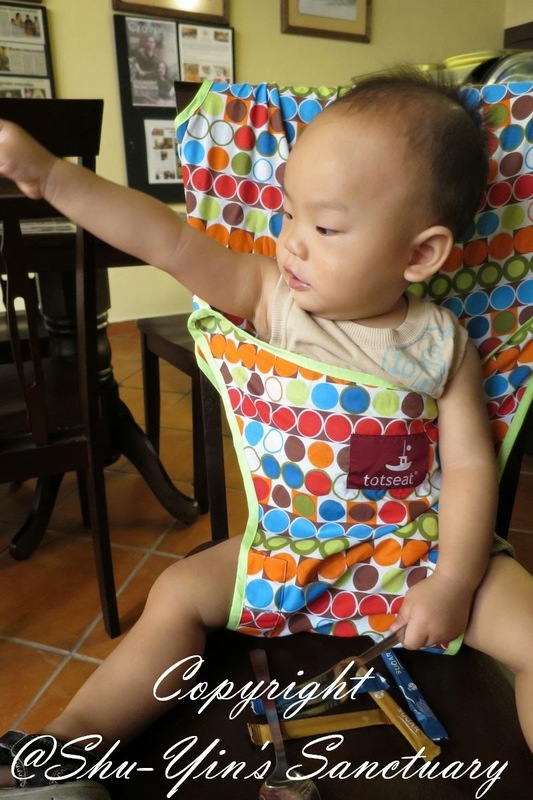 Just fit the Totseat around the chair's back, tightens it, and then pull over the harness and fastens it behind the chair with a strong clip. 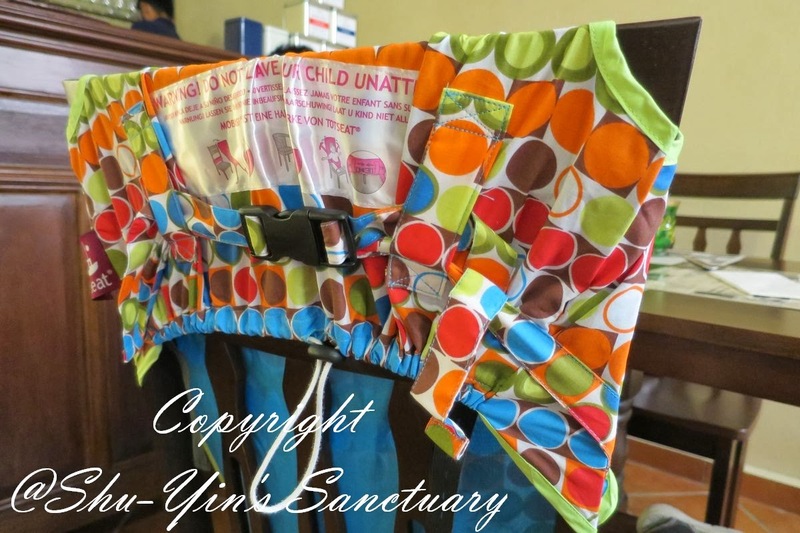 Or you can also secure the cummerbund over the Totseat like this for added security that the Totseat won't move about when your child moves about too much, but this is not really necessary. 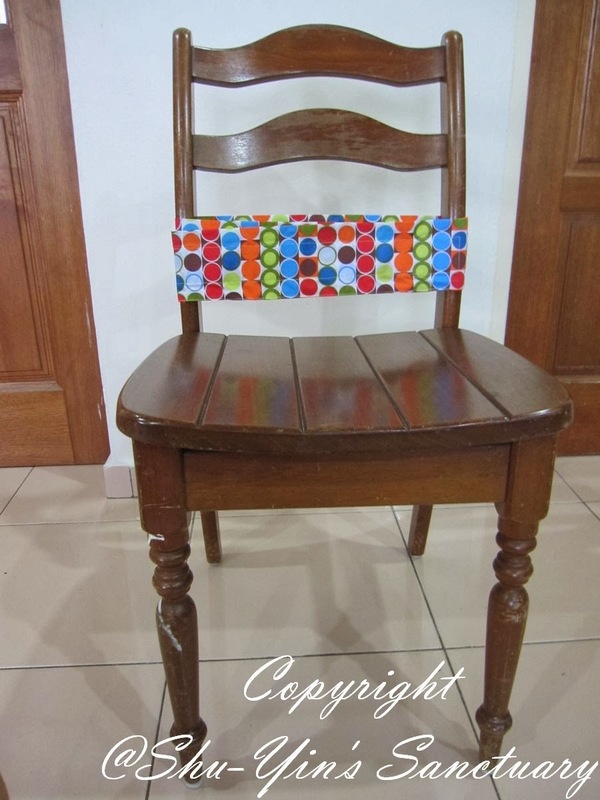 Using it on a different chair, this time a longer but narrower chair. Fits like a glove as well, after you tighten it. 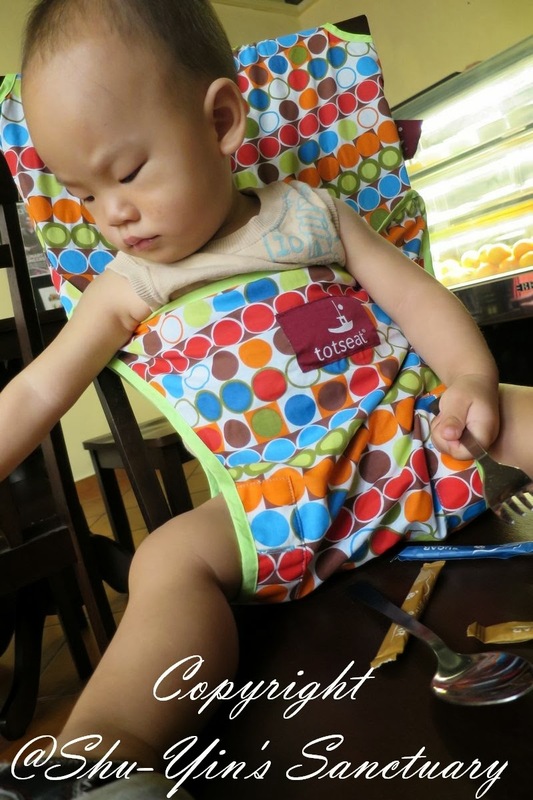 Totseat highchair can be shortened or extended to fit the chair's height.This is because at the middle of the Totseat, there is a button and 2 button slits for you to adjust the size accordingly. After buttoning, it folds like this, making the seat shorter. 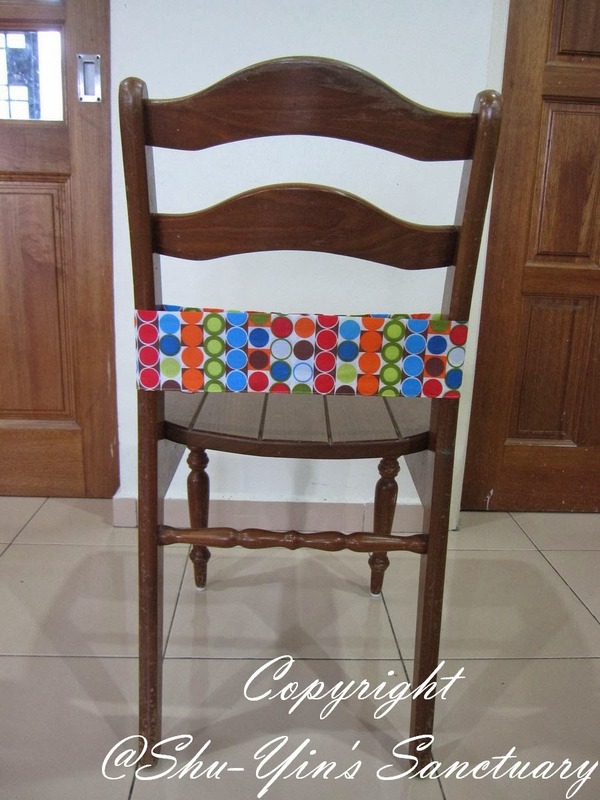 Totseat will fit most chairs with a back height of between 25 cm and 75 cm, and a width of less than 53 cm. 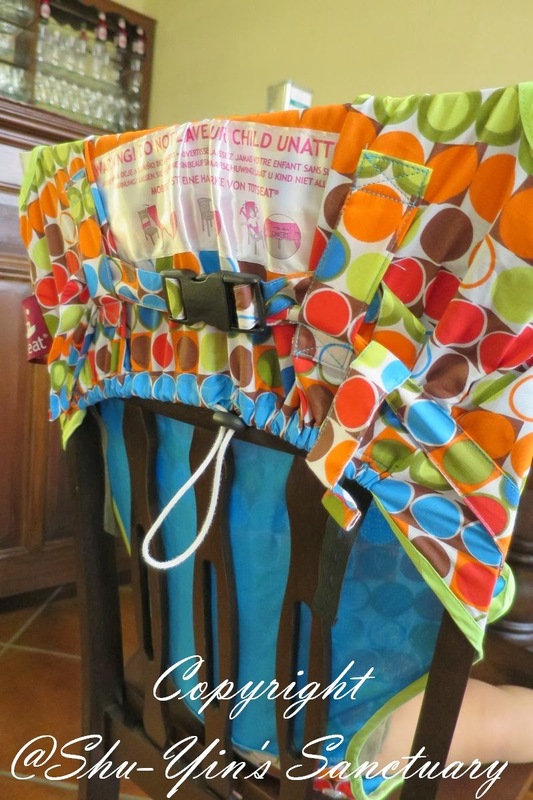 It adapts to fit chairs of varying heights, includes al fresco fasteners for rounded, metal-framed chairs. I'm not sure if this is really true, but I am yet to come across any chairs that doesn't fit. And I've tried it on countless chairs! Oh ya, I need to mention that it doesn't fit stools, you know those round stools without a back. Yeah, it won't fit those obviously as there are no backs to put the Totseat over it. 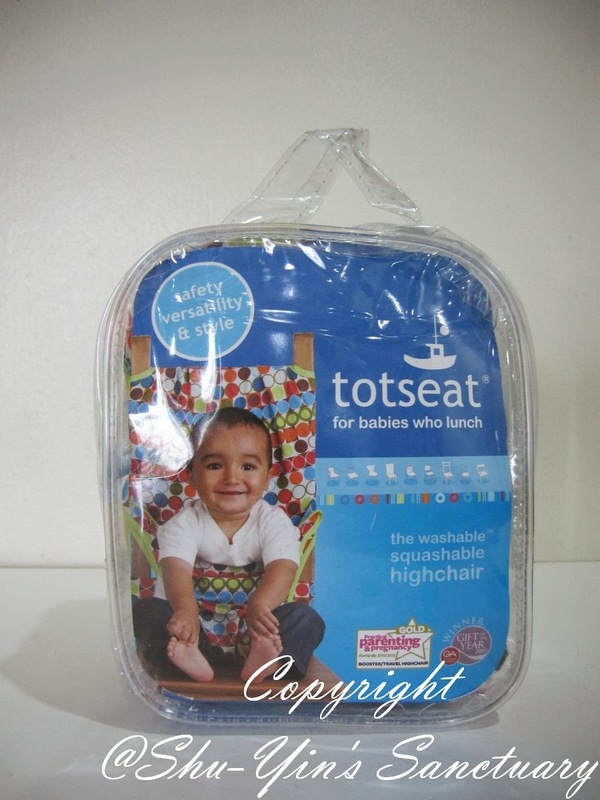 And I super like the fact that Totseat is machine-washable, at 40 degrees C and can be tumble-dried too. You know babies/toddlers are messy human right? They mess up things easily. I've washed it twice and it come our just like new every time. The moment I received it, I couldn't wait to try it out. 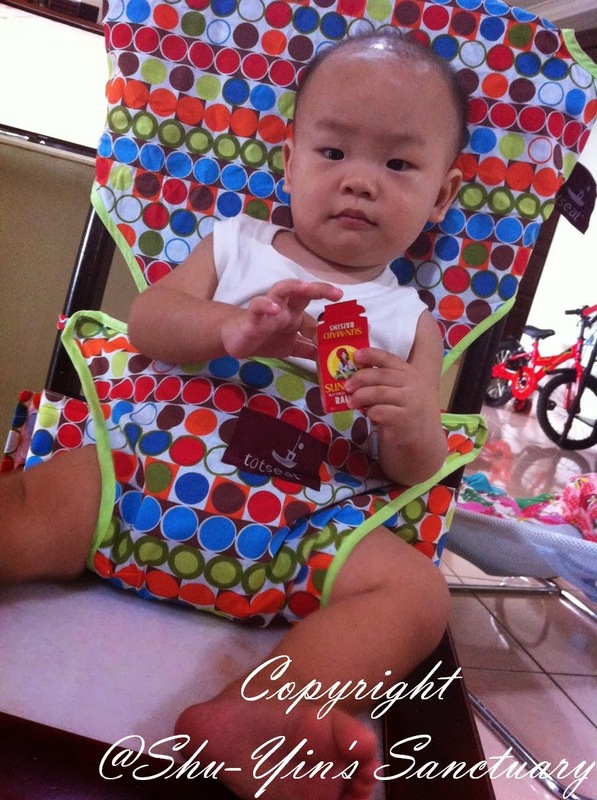 I tried it on Khye on our dining chair. It took me less than 3 minutes to fix it the first time! I gave Khye a packet of raisins and he was sitting there contentedly. No fuss at all. 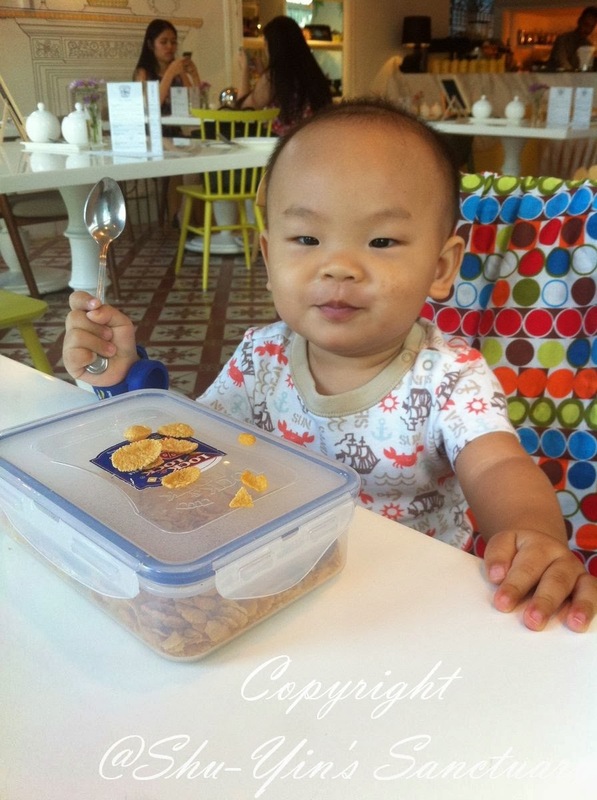 He was happy in his new highchair. And then I started bringing it out with me. 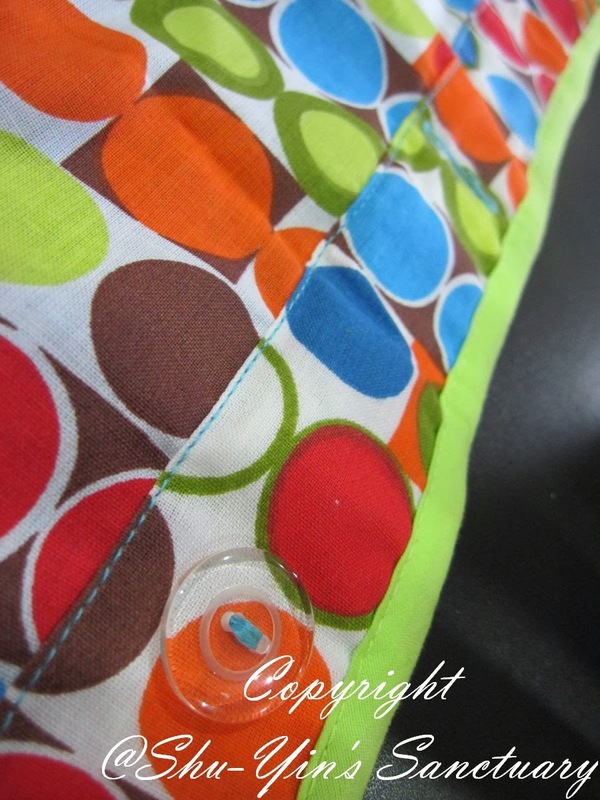 I just chucked the pouch into my Storksak diaper bag, and I knew I would be prepared anytime. It proved to be so invaluable, especially since we were on our cafe hunting mission for the past few weeks! Most of the time, it took me about a minute for me to fix the Totseat to any chairs. And I find this really good because it is very fuss-free and easy, which is important for me when I have to deal with 2 hungry kids. 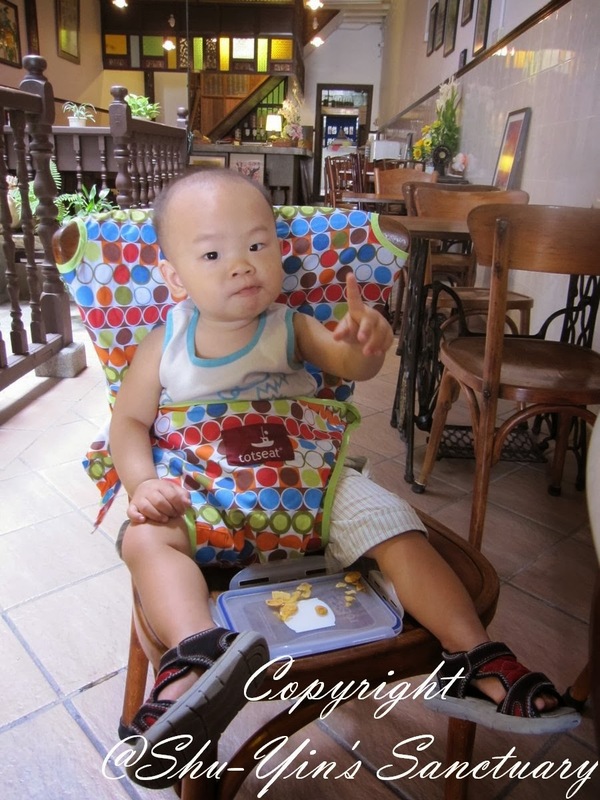 Many of these cafes do not have a high chair and my Totseat served as a portable highchair. 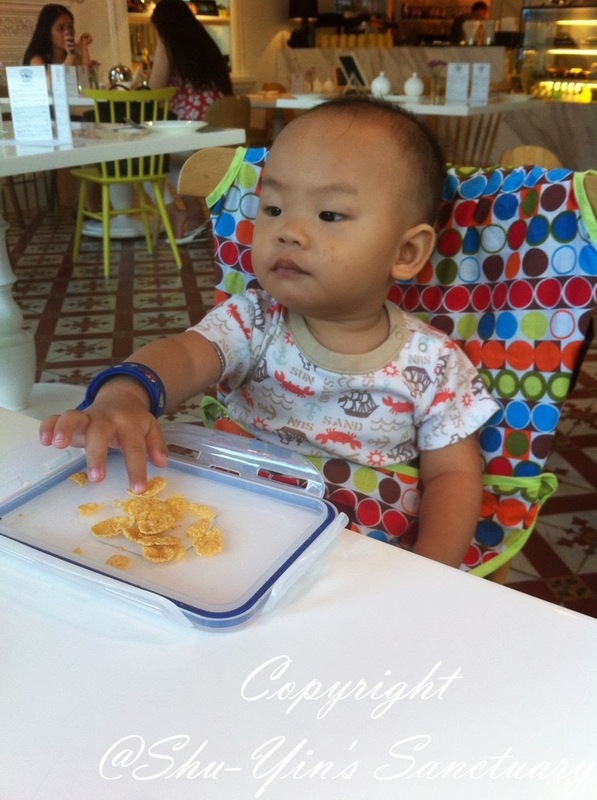 And even if it does, some highchairs looked so dirty that I was glad I had an alternative, my Totseat! 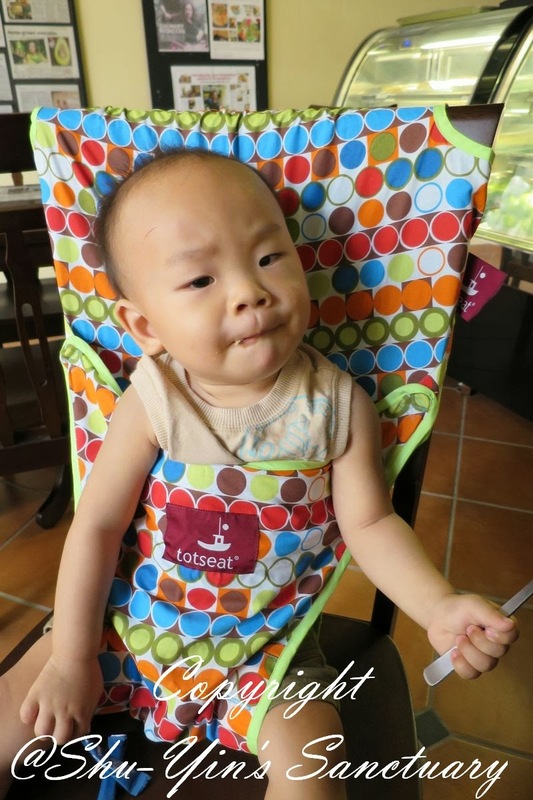 Sometimes I put the chair with the Totseat a little further away from the table, if I knew Khye was in a cheeky or naughty mood, as he might kick the table. That would send the chair topple back behind, and would dangerous. By putting the chair a little further away, it would be save, and I could still keep an eye on him while he happily munches on his snacks. 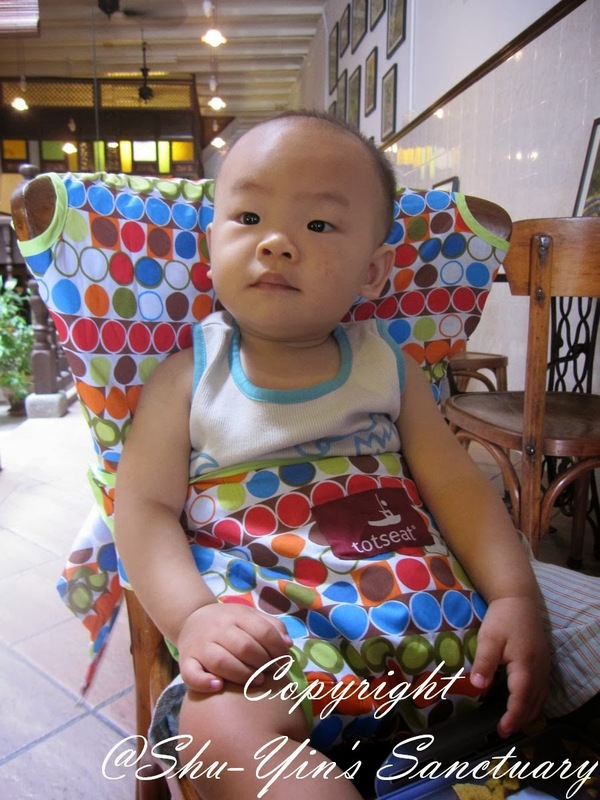 This is Khye on his Totseat in various cafes in town. 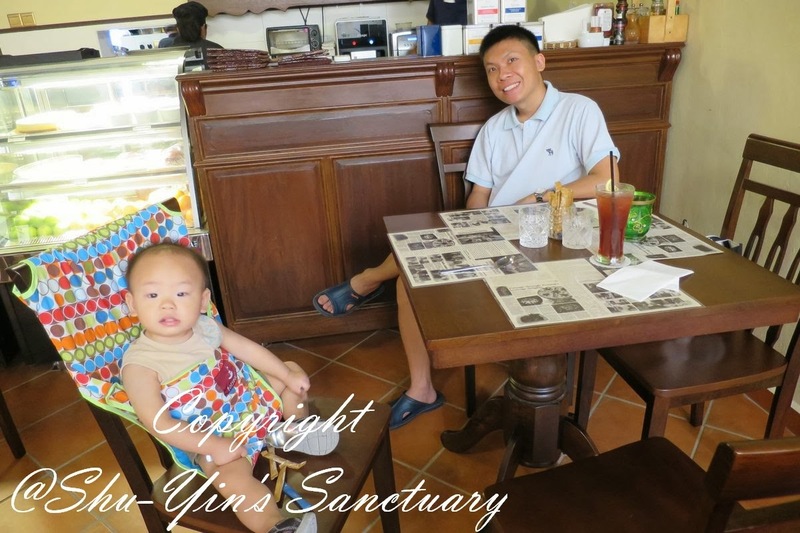 A photo of Khye with Daddy sitting in a cafe. 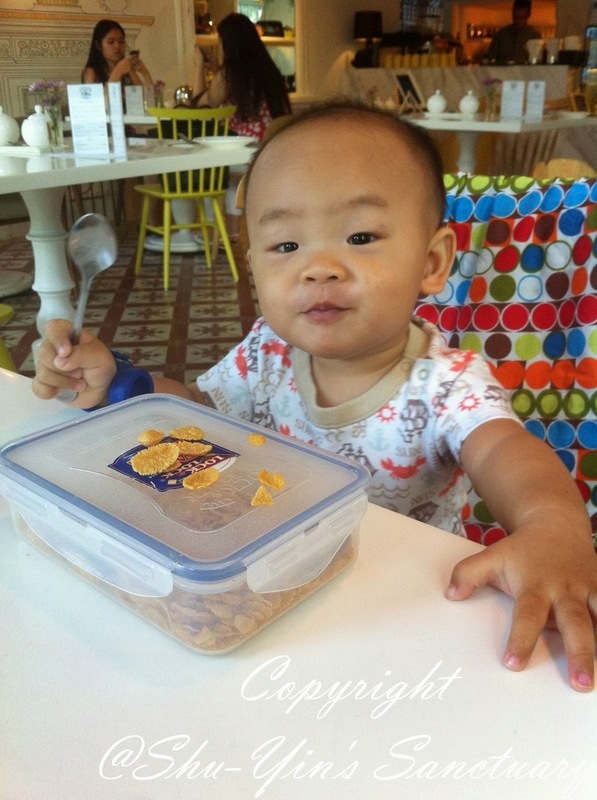 One thing though, there is no tray for Totseat, therefore no place to put his snack, unlike some highchairs that do come with a tray. 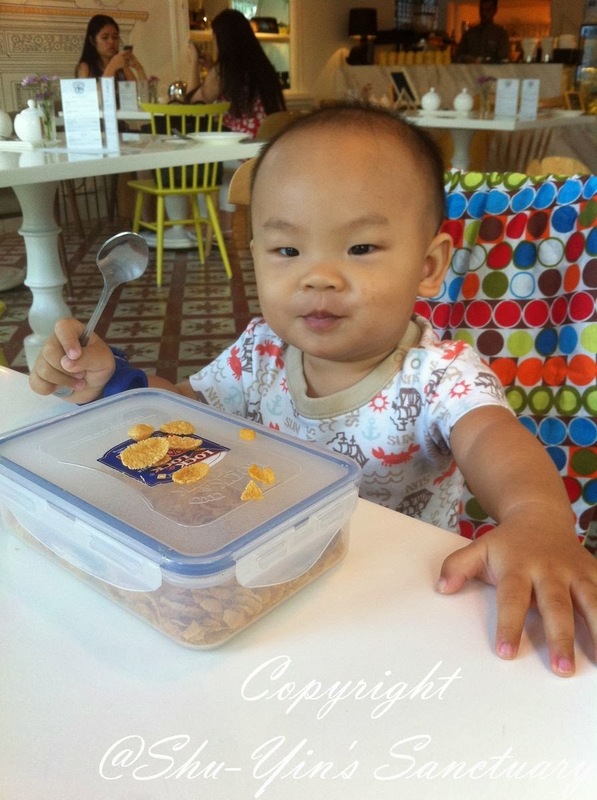 So sometimes, I had to put a bowl or a container at the chair in between his legs. And at places where the height of the chair is low, or the table height is high, then Khye also could not dine with us at the table. 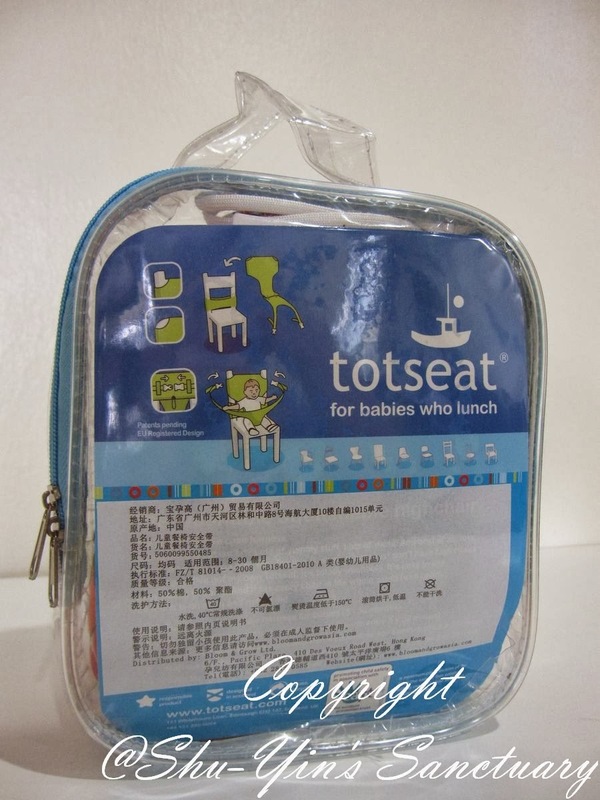 Please do take note that the Totseat is not a booster seat, therefore it depends on the height of the chair/table. 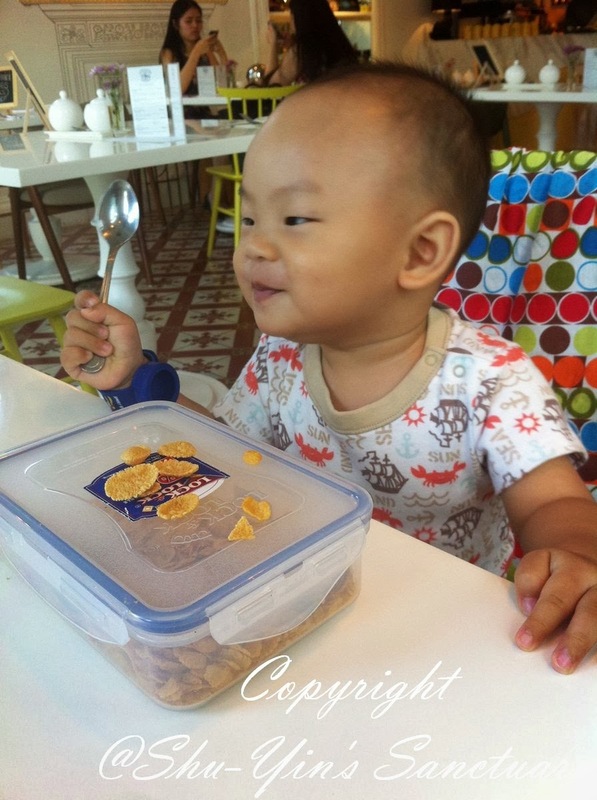 But as Khye is 15 months old, and is of a bigger size baby, therefore, we have no problem at most of the places for him to tall enough for the tables. When possible, I would place Khye near the table, and he could dine with us. I then put his food in front of him at the table. 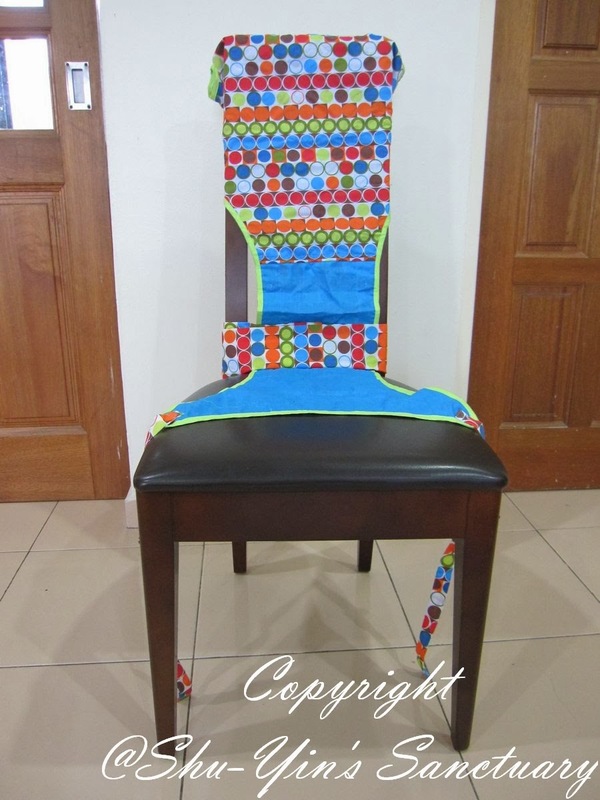 This is how the Totseat looks like from the side and back view. 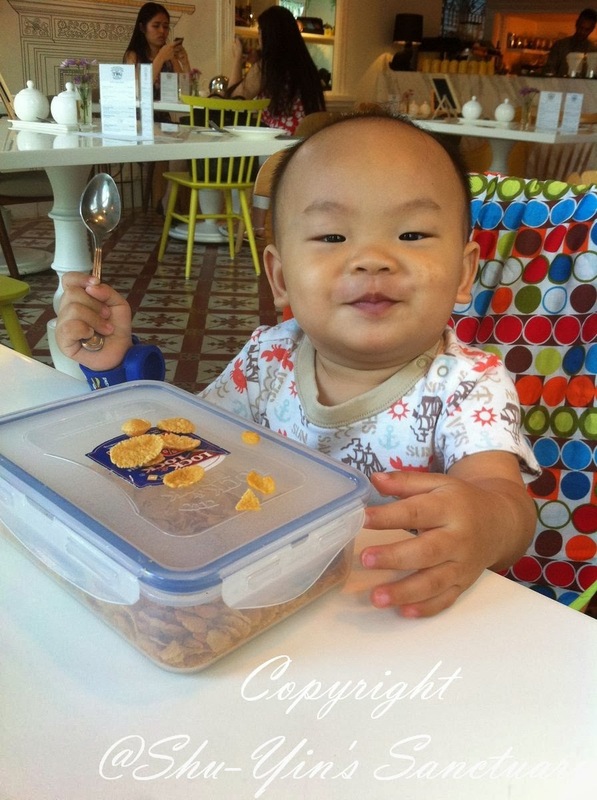 And look at Khye seated and being fed in his Totseat. He was seating there happily making cheeky faces at me! 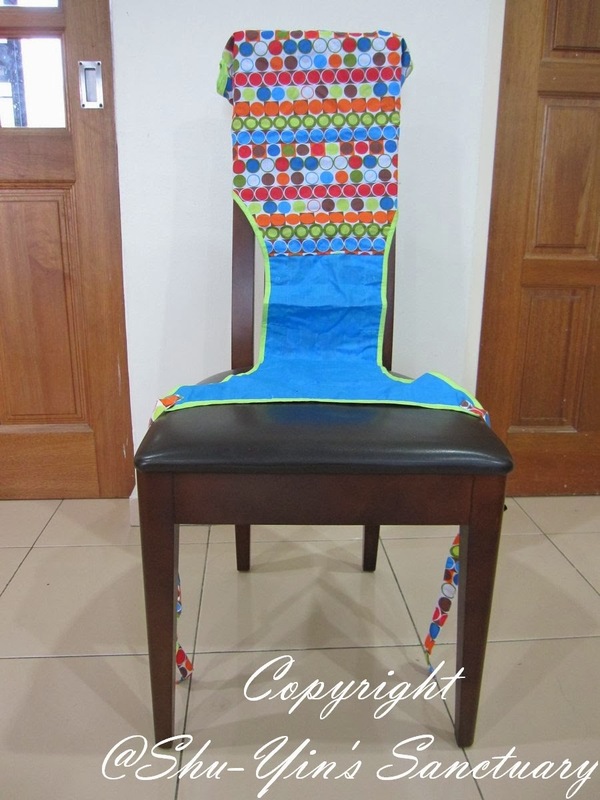 You can also watch this video and see how to use a Totseat, and how it fits various chairs. Another awesome thing is that although the drawstring pouch is small, I managed to put the Totseat and Cummerbund back into the pouch. You know some pouches/bags come so small that after the first time you take the content out, it is nearly impossible to squeeze it back into the bag, which means the bag serves no purpose. But Totseat's different; the pouch is small but is big enough for me to put the folded Totseat AND the Cummerbund every single time! 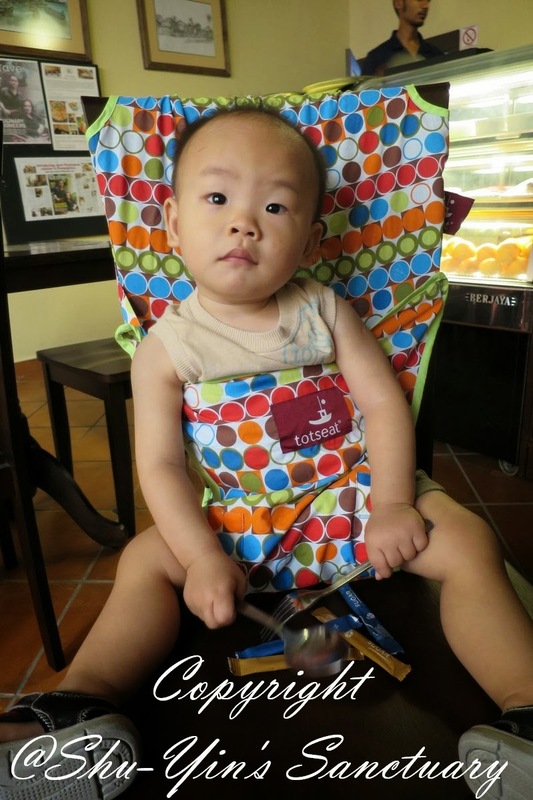 Totseat highchair was designed with safety at its very heart, and for this reason, every genuine Totseat chair harness carries a LIFETIME GUARANTEE. This is something that I know I will keep even when all my kids are all grown up. Because I think it will be useful to have this when relatives or friends with babies come for a visit. 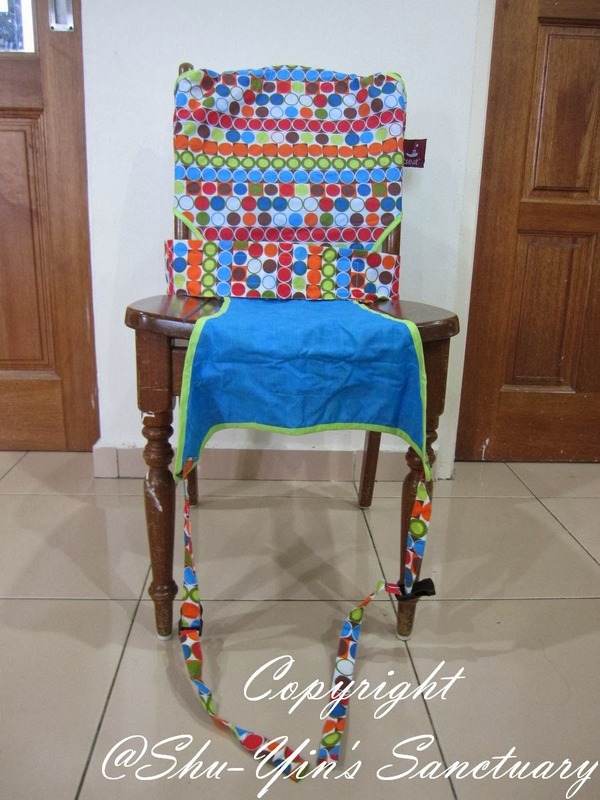 And I'll have a portable high chair all ready for them and without cluttering my home! How about that? 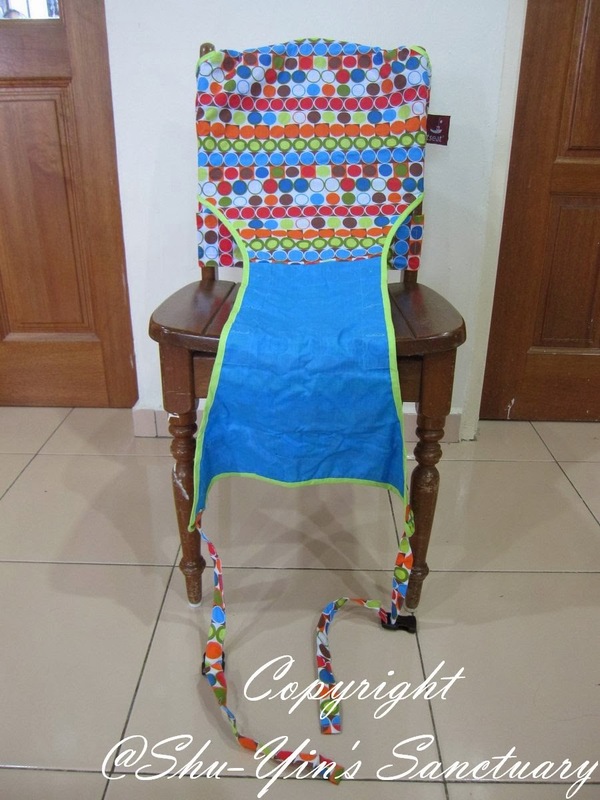 Overall, I SUPER LOVE this Totseat. 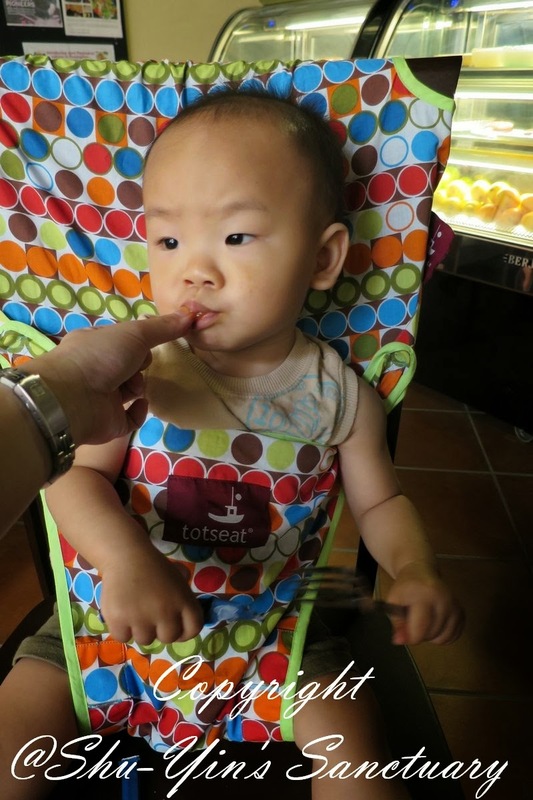 It certainly makes Totseat a very portable and squashable highchair, that makes dining easier on the go. Let me end this post with a photo of Khye, and on how happy he is in his Totseat! 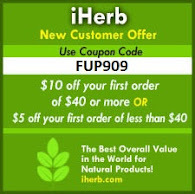 Please visit Bloom & Grow Asia's website for their list of retailers. * Disclosure: I received a Totseat for review purpose, but no monetary incentive was received. All text and opinions are of my own and represents my honest opinion of the product(s).